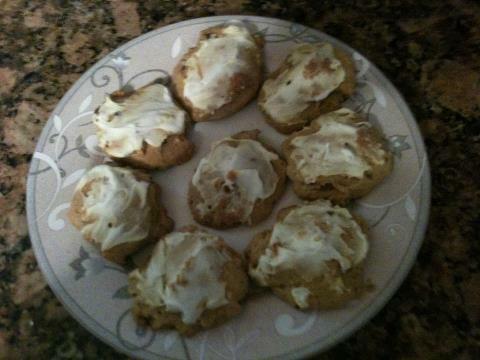 This Pumpkin Cookie recipe was submitted into the Cooking with QuiBids recipe contest by QuiBidder Barbara L.
Can of cream cheese frosting. Blend crisco, pumpkin and eggs together with electric mixer. Add the remaining ingredients and mix well.